Lamy SA Expertise is an independent office, with no ties to contractors, and can offer a non-professional owner an estimate of the works to be carried out. The goal is to help the owner obtain the best prices by proposing economic and technical advice without contacting any contractors. In this way true savings can be made on the work to be done. Renovating an apartment, extending a villa, improving the comfort of a home… there are many reasons for launching a construction project. This is why our missions cover all different types of work, of varying complexity: converting roof spaces, tiling, framework, heating, air conditioning, roofing, electricity, installing clean energy systems, extentions, shell constructions, masonry, insulation….. I requested several quotes to build a veranda but the prices vary from 1 to 5 ! The final bill of the contractor is very high. Can we dispute it? Our request was misunderstood and the workmanship is poor. 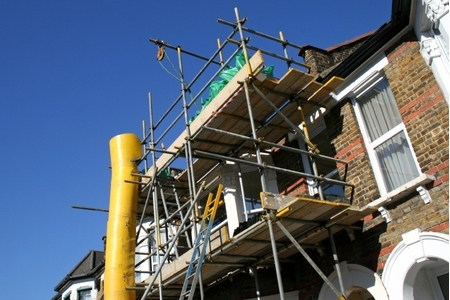 You have a renovation project but you don’t know how much it will cost. This aspect of the project is important, not only for making sure the project falls within your budget, but also for consulting your bank. Before moving on to the step of contacting contractors for estimates, which can vary from one to three, ask for a global estimate for the work you want to have done (to make sure the contractors integrate the same elements in their calculations). The pre-design project will provide the cost structure of your project including a global descriptive estimate of the work to be carried out, as well as a breakdown according to the building trade, thus sparing you some unpleasant surprises. With the pre-design project from Lamy SA Expertise, you will have a global estimate of the work to be carried out. The next step will be to choose contractors. However, their proposals can vary (quality of materials, timeframes...) and it is difficult to compare their offers, and even harder to compare their prices! Ask for our Contractor Consultation Offer! Our offer for Consulting Contractors allows you to compare what is comparable. Its goal is to specify the owner’s needs and to formalize it in a specifications list. This done, an objective analysis of the offers can make it easier not only to select contractors but also to negotiate prices with them.